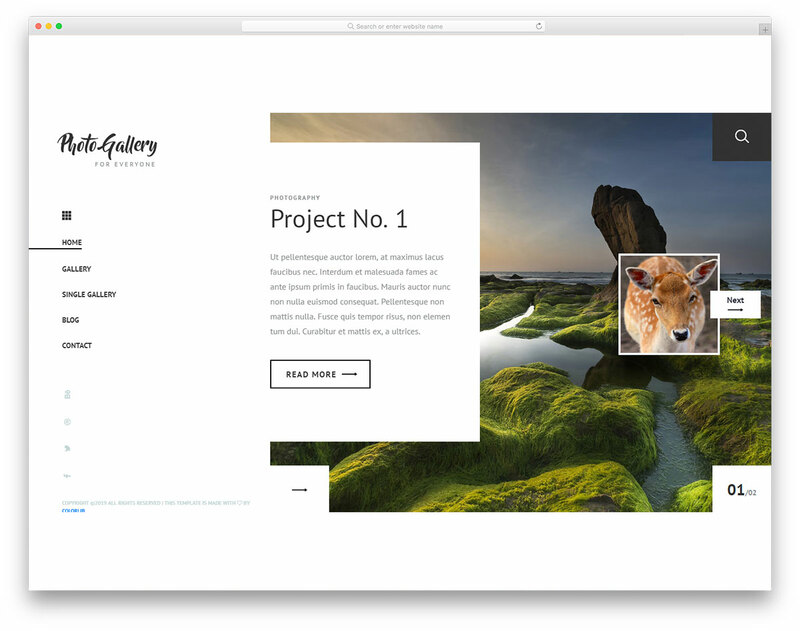 As a photographer, PhotoGallery is your go-to free photo gallery website template to push your works to new heights. 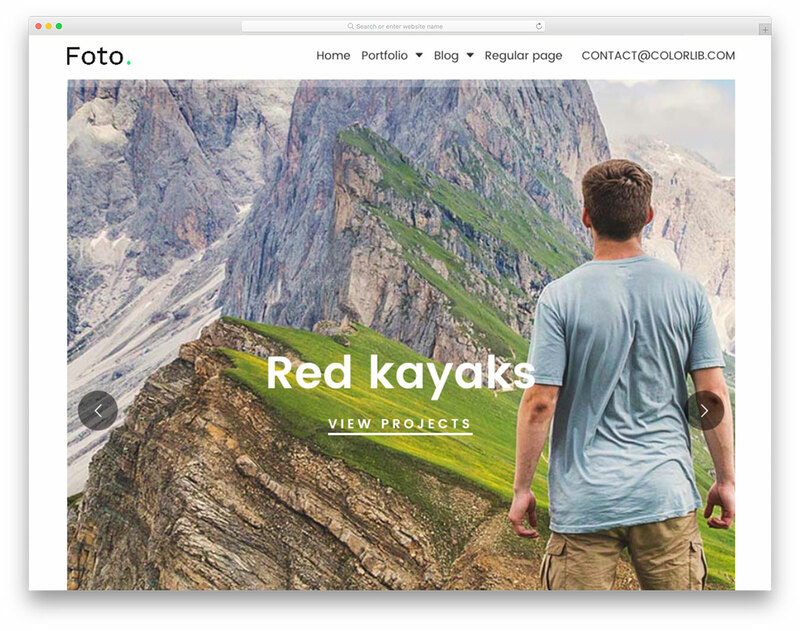 The tool will help you differentiate yourself from the masses with a unique and gorgeous website that will sparks everyone’s curiosity. 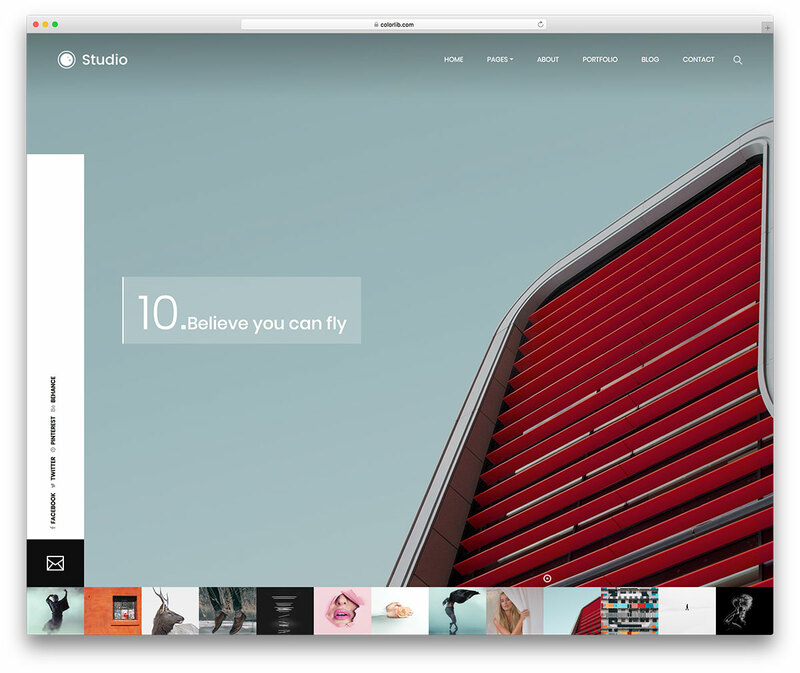 Right off the bat, PhotoGallery delivers a spectacular web presence which is very appealing to the eye. 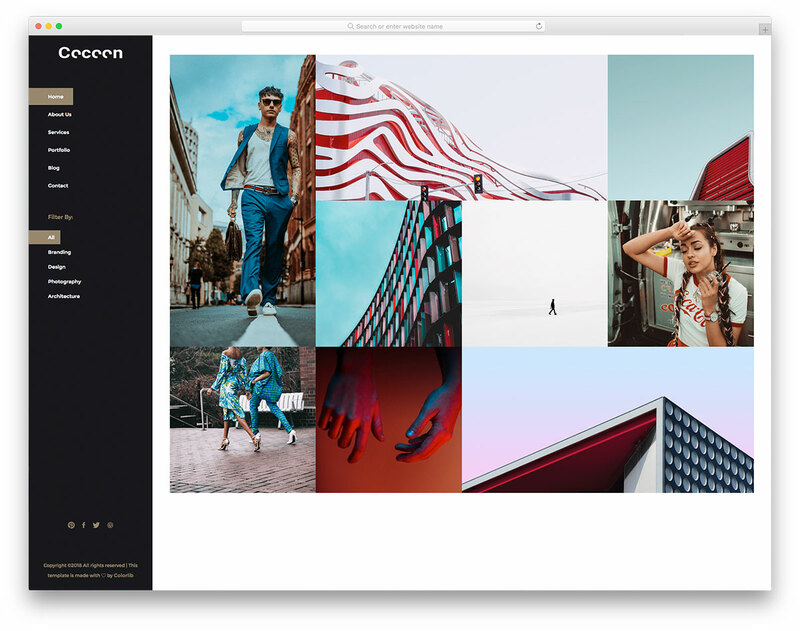 Once you study its live preview further, you will immediately know the power PhotoGallery brings to the table. 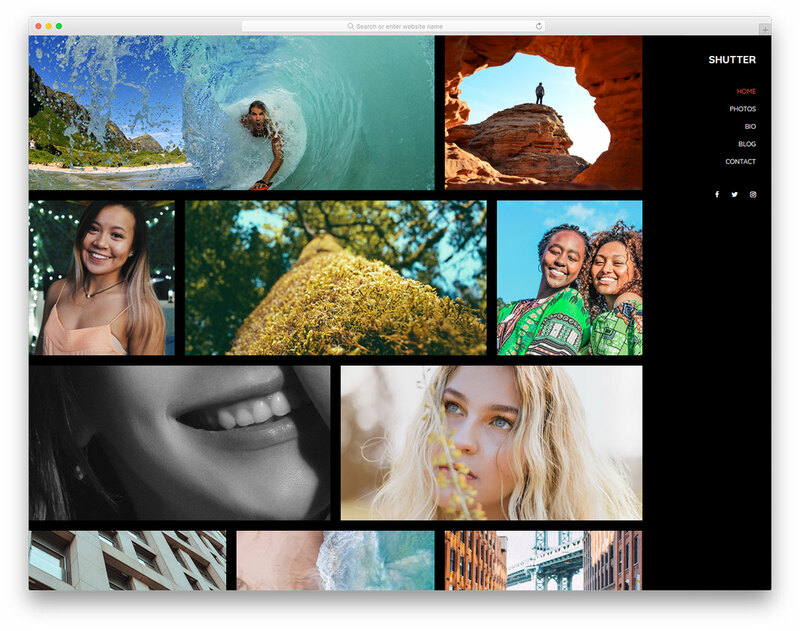 PhotoGallery comes with an index page that will help you express your professionalism, as well as other internal sections for gallery, blog and contact. 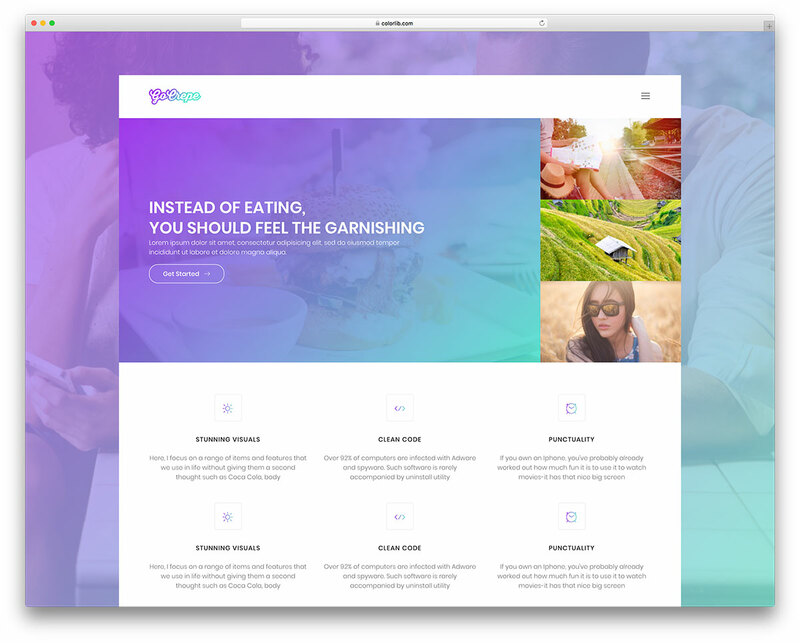 Link your page to your social media accounts by utilizing integrated buttons and ensure a smooth experience for mobile and desktop users. 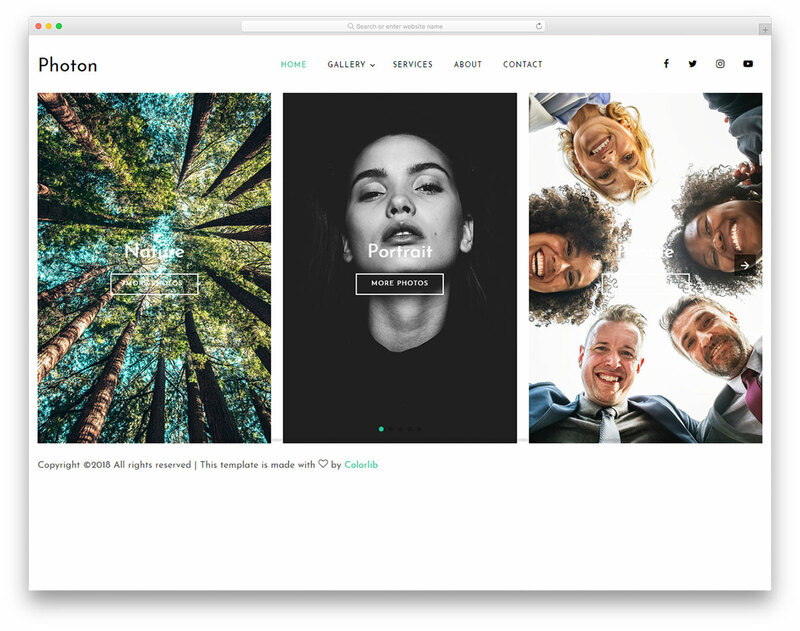 Start your photo gallery website today with this awesome free template and boost your reach.